Get to know some of the students who currently have the Luther Theatre and Dance Scholarships! 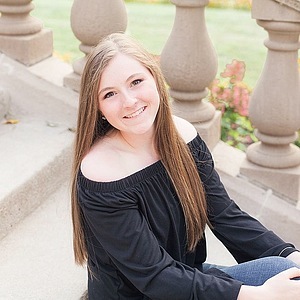 Gracie Rotter is from Columbus Junction, Iowa and graduated from Columbus Community High School in 2018. Although dance is her major and favorite area of performance, Gracie is also interested in lighting and the tech side of things. On the dance side of things, Gracie is excited to be performing in "What Would Love Do?" this spring. She is also anxious to be involved in SPIN’s 1440 minute musical as a tech hand to start her career here at Luther. We can’t wait to see what she brings! Carter Wittrig is from Prairie du Chien, Wisconsin where he attended Prairie du Chien High School. Carter is currently studying English and theatre, but is also interested in exploring Visual Communication here at Luther. Carter’s main focus in theatre is acting, which he demonstrated in the SPIN theatre cabaret show, and just showcased in the fall production of Shakespeare’s “A Midsummer Night’s Dream.” Carter’s favorite performance was in “Suite Surrender,” a one-act play that performed in his junior year. He says it was a hilarious show that he still loves. Good luck, Carter, we’re lucky to have you! 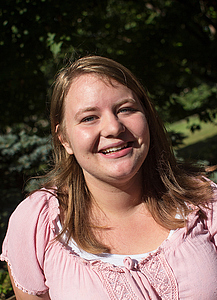 Lindsey Fry is a music major with a German minor from Lawrence, Kansas. In high school, Lindsey was involved in theatre as an actor, but looks forward to broadening her horizons to other aspects of production during her time at Luther. Lindsey just finished playing a courtier in Shakespeare's "A Midsummer Night's Dream," and is ready to jump in for her next production as an understudy in "Appropriate." Great to see you getting so involved, Lindsey! Zoey went to DeWitt High School in DeWitt, Iowa. She’s interested in studying music education and possibly the new musical theatre minor or a dance minor. Dance is Zoey’s main mode of performance, but she is a fan of all facets of the performing arts. She participated in the SPIN theatre musical theatre cabaret, and is excited to continue working with SPIN as a choreographer for their 1440 minute musical. Zoey's favorite performance was in "The Wizard of Oz" where she got to be green in front of her friends and family. We can’t wait to see what else Zoey has in store! Ga-Young Kim went to Waukee High School in Waukee, Iowa and came to Luther to study nursing. The technical aspects of theatre interest her most, but she would love the opportunity to act and also try directing here at Luther. She's already gotten started as house manager for “A Midsummer Night’s Dream” this year. 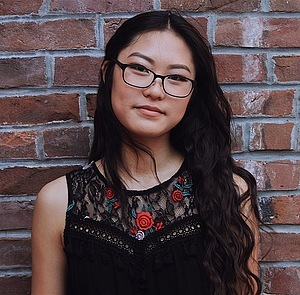 Although Ga-Young says that every show has a place in her heart, getting to be head stage manager for “The Hunchback of Notre Dame” and “Peter and the Starcatcher” were wonderful experiences to close out her senior year. We can’t wait to see what’s in store for you here at Luther! Kloey Lekatz is from Saint Michael, Minnesota and attended St. Michael-Albertville High School. 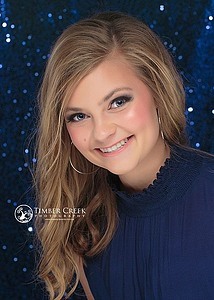 She is currently a vocal performance major, but is interested in a minor in theatre or our new musical theatre program. Kloey is interested in any aspect of performance and can't wait to get started here at Luther. She worked as an usher for "A Midsummer Night's Dream," and we're lucky to have her in the program! Sarah Damhof attended St. Cloud Tech High School in Clearwater, Minnesota. She hasn’t decided on a major, but is interested in political science, international relations, and Spanish. Sarah is primarily an actor, and especially enjoyed playing Puck in her high school’s production of “A Midsummer Night’s Dream.” This year she was able to revisit the realm as a courtier in the VPA’s fall production of the same show. Have fun, Sarah! Elena Fackler attended Wayzata High School in Plymouth, Minnesota. Elena hopes to double major in history and theatre with a minor in education so that one day she can be a high school director. Elena has already participated in the Luther theatre program as an actor in “The War of the Worlds,” and worked on costume crew for the production of “A Midsummer Night’s Dream.” As we can tell, Elena loves all aspects of theatre including costume and prop design, acting, tech, and particularly directing. She was able to engage many of these joys working as the props master, a member of the costume crew, and a co-crew director in “The 39 Steps,” Elena’s favorite production from high school. This spring Elena is excited to be working as a costumer for SPIN's 1440 minute musical. We can’t wait to see what she does next! 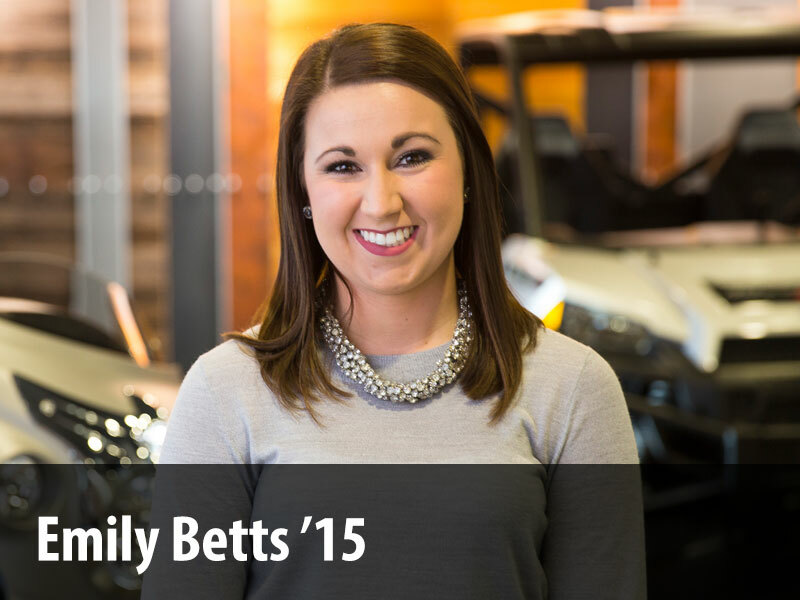 Camryn is a biology and theatre major from Maquoketa, Iowa. Although she is most interested in acting, Camryn is looking forward to opportunities at Luther where she can branch out into sound, production, and makeup. Her favorite production to be a part in was as an understudy for Morticia in “The Addams Family” which she says was a wonderful experience. Camryn is looking forward to her first theatre experience here as an understudy in the upcoming production of "Appropriate." She’ll have a great time exploring all facets of theatre here at Luther! Ashley went to Waverly-Shell Rock High School in Waverly, Iowa. Currently, she is majoring in history, but she is also interested in English, theatre, and religion. Lucky for her, Luther is the perfect place for her to get involved in all of her interests! 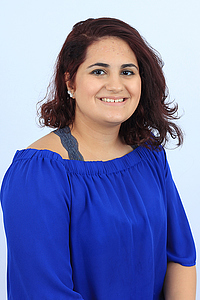 Ashley is most interested in the administrative aspects of theatre, such as directing and stage management. She was able to work backstage this year for the SPIN theatre cabaret, and as an assistant stage manager for “A Midsummer Night’s Dream.” Welcome to Luther, Ashley! 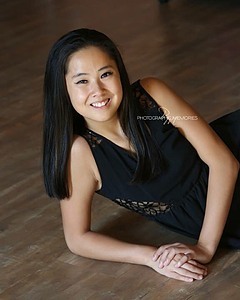 Meghan is from St. Paul Minnesota where she enjoyed dancing at her studio. She is majoring in chemistry with a minor in Spanish, but may also explore a major in math. Back home, Meghan’s dance studio put on a professional show called “Kickin’ it Irish.” She loved the opportunity to perform in venues such as The Chanhassen Dinner Theater, The Fitzgerald Theater, Stepping Stone Theater and Celtic Junction. Meghan is sure to have as much fun in the performance of "What Would Love Do?" this spring with the dance program. We can't wait to see much more of Meghan this year and in her next 4 years here at Luther! Hannah went to Memorial High School in Eau Claire, WI. 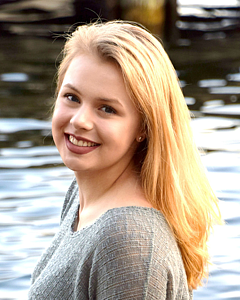 Hannah is interested in theatre and dance and hopes to participate in some productions as she pursues a major in biology, and minor in Spanish. Hannah’s favorite production to be a part of was “Joseph and the Amazing Technicolor Dreamcoat.” We can’t wait to get to see her onstage here at Luther! Chase is from Farley, Iowa and graduated from Western Dubuque High School. Chase hasn’t decided on a major, but he’s got plenty of time to figure that out. Right now he’s focusing his studies on theatre, and acting in particular. He’s even had the opportunity to act in this year’s production of “A Midsummer Night’s Dream.” Chase is anxious to have more experiences at Luther to rival his favorite productions of “Beauty and the Beast” or “Asleep on the Wind” which he has performed in the past. Luther is lucky to have you, Chase! Emily Kidwell is a dancer from Bettendorf, Iowa. Currently, Emily is exploring a major in psychology or social work, but of course is interested in participating in dance productions. She is excited to be performing with the dance department in “What would Love do?” this spring. We can't wait to see you up on stage, Emily! 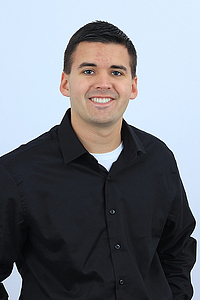 Though he was born and raised in North Dakota, Erik has lived in Decorah, Iowa for the past three years. In high school he attended some classes at Decorah High School, Northeast Iowa Community College, and even Luther, but most of his education since elementary school has been from home. He is currently majoring in political science and history, with hopes to one day go to law school. 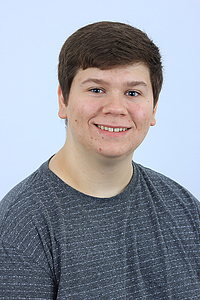 Erik has loved acting since the first grade, and is delighted to be working in the scene shop this year on the sets for “A Midsummer Night’s Dream” and also for Christmas at Luther. In 2017, Erik played the Reverend Crisparkle in “The Mystery of Edwin Drood” and absolutely had a blast. The audience got to vote on the ending, and he especially enjoyed getting to portray the murderer. We can’t wait to see his work here at Luther! Vivian is from Spring Grove, Minnesota where she attended Spring Grove High School. 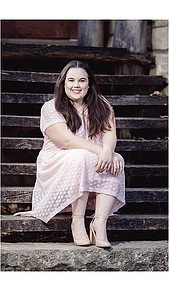 Vivian is majoring in theatre and loves the worlds of acting and musical theatre. Vivian already took the stage in SPIN’s Musical Theatre Cabaret, and performed as Titania in “A Midsummer Night’s Dream.” Vivian really enjoyed the process of “Midsummer” so far and appreciates that everyone in the theatre program has been so helpful and made her feel right at home. Next up, Vivian will be performing as River in "Appropriate." We’re so glad you fit right in with us, Vivian! 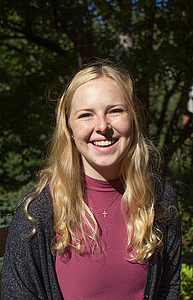 Ellie is a vocal music education major from Princeton, Minnesota where she graduated from Zimmerman High School. 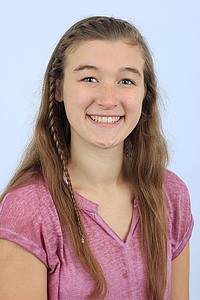 Ellie is interested in all aspects of theatre, including acting, tech, and singing. She already got involved in our program by working with costume, hair, and makeup for "A Midsummer Night's Dream." Ellie had the privilege of playing Dolly Levi in her high school's production of "Hello Dolly" and had a blast! It was her favorite musical and she says she had so much fun with it. Enjoy Luther, Ellie! Kaitlin Poock attended Mid-Prairie High School in Kalona, Iowa. She hopes to major in psychology and minor in dance here at Luther. 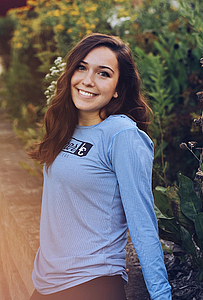 Kaitlin is already involved with Orchesis dance company, and had the opportunity to collaborate with SPIN theatre for their Musical Theatre Cabaret as a background dancer. This spring, Kaitlin is thrilled to be involved in the dance production "What Would Love do?" We’re sure Kaitlin will have many more opportunities here at Luther and can’t wait to see more of her. Naomi Weiss is from Lindstrom, Minnesota and graduated from Chisago Lakes High School. She currently plans to major in speech pathology, but is excited to be involved in dance and explore other aspects of the visual arts. This spring, Naomi is thrilled to be performing in her first Luther dance production “What Would Love do?” Can’t wait to see you up onstage, Naomi! Cassie Kaminsky is from North Liberty, Iowa where she attended Mount Vernon High School. She is currently planning to study political science and our new musical theatre minor. She is excited to get started acting here at Luther. 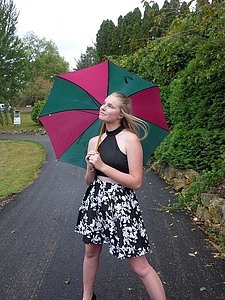 Cassie’s favorite production to be a part of was Les Miserables, and we can’t wait for her to show off those dramatic skills in theatre productions on the Luther stage! Mina Sahir is from Dyersville, Iowa where she attended Western Dubuque High School. Mina has worked in cast and crew for productions in the past, but her preference is for acting or costume and prop work. Currently she is studying art and art history with a minor in museum studies, but she hopes to add a theatre major or minor as well. Mina’s favorite production in high school was “Almost, Maine,” but she was ecstatic to get to perform in her first college production, “A Midsummer Night’s Dream” here at Luther. Break a leg, Mina! 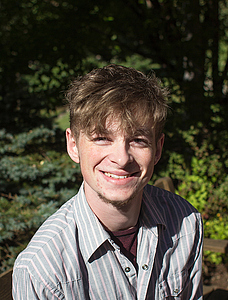 Burke is a hopeful communications major with music and theatre minors. His debut here at Luther was as an actor in the radio play “The War of the Worlds.” He can’t wait to get more performances under his belt here at Luther, but remembers “The Cripple of Inishmaan” as his favorite production from high school. Can’t wait to see what’s next for you, Burke! Alisa is here all the way from Houston Texas where she was homeschooled and took some online and co-op classes. Alisa plans to pursue a major in chemistry and a minor in museum studies. Putting her history knowledge to the test, Alisa is most interested in dramaturgy, the research that goes into a production. Luther’s spring production of “Appropriate” is her first dip into this realm, and she has begun researching southern architecture for the production. We can’t wait to see what you come up with, Alisa! Kristen Flathers went to Clinton High School in Clinton, Iowa. She is a vocal music major with minors in both dance and theatre. 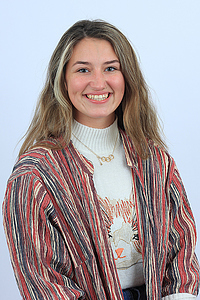 It’s no surprise that she is interested in dancing in productions, but she also enjoys the administrative aspects of choreographing and directing. 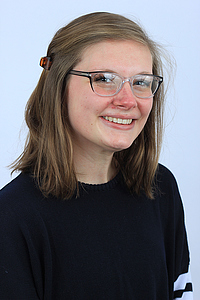 Kristen is thrilled to make her debut here at Luther as a dancer in the spring performance of “What Would Love do?” She hopes it will rival her favorite production thus far of “How to Succeed in Business Without Really Trying.” You’ll be wonderful, Kristen! Rosemary Rundquist is from Fergus Falls, Minnesota where she graduated from Kennedy Secondary School. She is looking at a major in social work, but thinks she might end up with a double major by the time she leaves. Rosemary has been dancing since she was 5 years old, and is excited to continue here at Luther. In high school she always looked forward to her annual spring dance performance, and she can’t wait to have similar experiences here. Good luck, Rosemary! 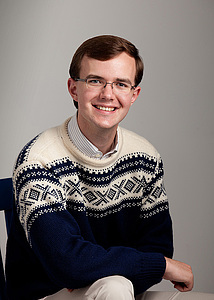 Austin Sorenson is from Fort Dodge, Iowa where he attended Fort Dodge Senior High. He is currently a music performance major, but is also interested in acting and theatre; he’ll need it all to pursue his Broadway dreams! Austin has already had the opportunity to perform here at Luther in SPIN’s Musical Theatre Cabaret where he played Frollo from “The Hunchback of Notre Dame” singing “Hellfire!” Austin is a transfer student from Iowa Central Community College, where he played the villian Chauvelin in “The Scarlet Pimpernel.” Austin’s sure to feel right at home here at Luther! Hannah is from New Lisbon, Wisconsin. She plans to create her own major through the individualized interdisciplinary major (IIM) program. The IIM will include dance, health, management, and theatre to prepare Hannah for opening her own dance studio. She hopes to be able to bring her future students the knowledge they need to live a mentally and physically healthy lifestyle. This spring, we'll get to see Hannah's talents showcased in the dance production "What Would Love Do?" Welcome to Luther, Hannah! Visual and Performing Arts maintained by huintr01. Page last updated on 10 December 2018.